Non-compliant, unregulated ICOs have been raising exorbitant amounts of funding from the public and been something of an Achilles heel for the blockchain market. The once bullish investors are increasingly cautious of the risks associated with unregulated ICOs and fully aware and wary of the scams that have penetrated the market as of late. Likewise, regulators from around the world are unsure on the extent to which they should regulate ICOs and question whether they should be subjected to security laws. As a result, the momentum initially garnered by ICOs is losing traction, with ICO funding reaching a 2018 low. In August of this year, ICO funding was at the lowest one-month funding total since the ICO boom began, with ICO funding in Q2 of 2018 experiencing the first ever quarter-over-quarter decline. However, it is likely that the recent market hiccup will be short-lived as the next wave of ICOs are set to undergo a series of critical changes that will help the blockchain and cryptocurrency markets reach maturity. Despite the recent downturn, token sales are still an attractive way for blockchain startups to raise funds, with ICOs in 2018 having raised over $18 billion to date. A new surge of security token sales is expected to flood the market as part of the next wave of ICOs. In the past, several ICOs offered utility tokens yet marketed their offers as security-like investment opportunities. As a result, the market suffered from asymmetric information which once discovered, scared off many institutional investors who were confused by the market offerings due to the way some ICOs presented their product. Utility tokens are not designed to be investments and do not give the token holders any ownership of the company but rather represent a future access to a company’s product or service, much like the pre-order service offered by many electronics giants prior to product launches. Security tokens, on the other hand, are different in that they derive value from a tradable, external asset and therefore can be applied by companies to represent a share of its stock. 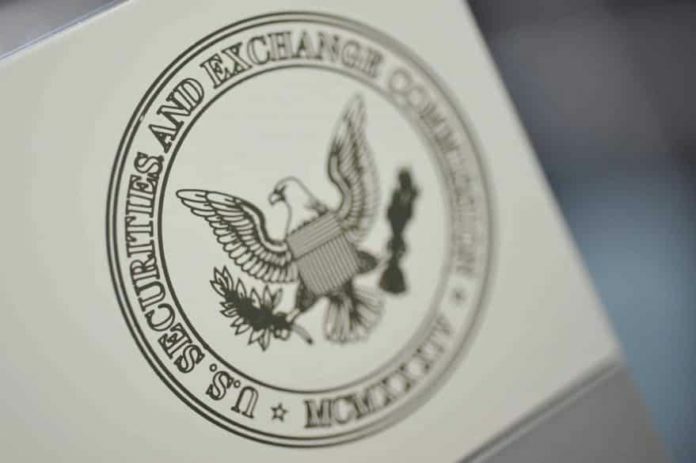 The United States Securities and Exchange Commission (SEC) recently decided to impose US Securities Laws on security tokens, marking a new era of regulated cryptocurrencies which has created a clear binary distinction within the market between the two types of tokens. This means that if an investment in an ICO is made with the intention of profiting in the future from an increase in value, it will be classified as a security token. Many other countries around the world are following suit and are aiming to reduce the “lawlessness” that affected the market in previous years. With the new regulations and security measures in mind, valid start-ups are beginning to introduce ICOs that are SEC compliant with financial marketing that is no longer ambiguous and confusing. In the new wave of regulated ICOs, institutional investors will not be discouraged by deceptive marketing tactics and will also have the assurance of investing in a compliant product. This would mean that in the long-term, the structure of ICO fundraising would likely experience a shift – from crowd sales to increased private investment as institutional investors become more confident in the market conditions. In addition, exceedingly high ROIs could soon be a thing of the past, as investments become increasingly risk-averse. Critics point to the difficulty of complying to new regulatory measures, but fail to highlight the myriad of potential benefits associated with compliance. Security tokens will still retain the ability to be used as a utility (unlike utility tokens which can only be used for native transactions). With the successful adoption of new measures, the mass-adoption of blockchain technology across industries is becoming a seemingly inevitable prospect due to the decreased legal risks for both investors and issuers. In addition, the growth of infrastructure projects is making cryptocurrencies more user-friendly and applicable. In the coming years, the next wave of secure, regulated ICOs will be the driving force responsible for mainstreaming blockchain technology across industries and will create a mature ecosystem free from scammers that plagued the nascent early market. With the successful adoption of these measures, blockchain technology will become an increasingly more applicable tool for industry leaders and governments alike. The new era of ICOs will focus on delivering real value and tangible use-cases for blockchain technology, rather than exclusively on raising money, which will attract greater numbers of patient, strategic, and institutional investors. This will be a much-needed step forward to market stabilization and pivotal breakthrough in the blockchain revolution. Dror Lupu is the Co-Founder of Smartologic Technologies, a blockchain advisory firm.